Yes. If you have a business, whether you offer online sales or not, you definitely need a website. A recent study showed that 83% of consumers research online before venturing into a brick and mortar location or contacting a service provider. If you don’t have a website, you are virtually invisible. Not only do you need a website, you need a clean, eye-catching, and professional website, if you want to be taken seriously. Anything less, and you’re turning away potential clients. Website design is not intuitive. Why spend time grinding through software for something that can be outsourced to a professional at an affordable cost? Call Kreative Dezign or stop in and see us and see how easy it can be. We’ll answer all your questions and be the marketing partner your business needs. Call today & get your website up to date! You’re a busy professional, devoted to your business. Your time is valuable and we understand that. Doesn’t it make sense to utilize our skills, built over a decade of helping small business owners get results, while you spend your time doing what you do best – running your business? •Do you already have a website, but need something updated or changed? Kreative Dezign takes the sting out of website design and maintenance. Many of our hosting plans include scheduled maintenance, to keep you looking fresh and professional. If you need help and are ready for a switch, give us a call. Could your website use a little help? Are you getting the amount of traffic that you would like? Want to attract new, qualified visitors? Are you ready for a fresh, modern look? Do you need to grow online sales? Call Kreative Dezign today to get started on your website makeover! What would you think if you walked into a store styled in the 80’s (or 90’s for that matter). Things change even faster in the online world. Colors, artistic design and even the way information is organized on a site are in a constant state of rapid growth and development. To further complicate matters, search engines, like Google, are constantly adjusting the parameters used to find your website. 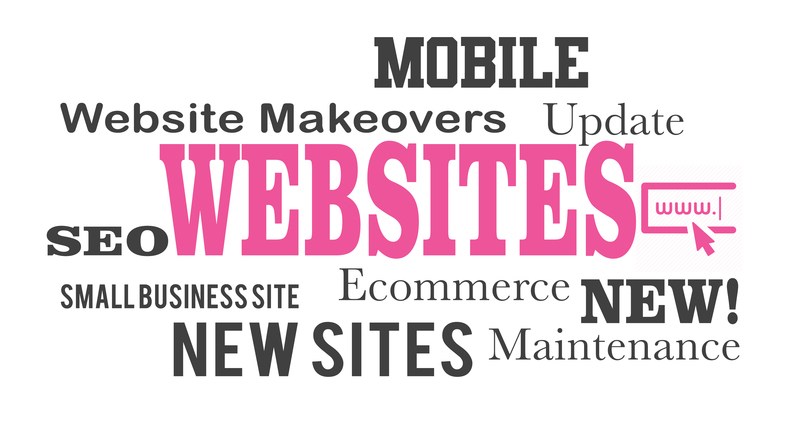 All businesses should consider a website makeover every 2-3 years in order to maintain a fresh, professional image. Imagine you had one billboard that 90% of your customers were looking at. How often would you change the images on it? Kreative Dezign will be happy to quote you on your website makeover over the phone or by email. Makeovers typically take about 2 weeks to complete and can be completed for very reasonable rates.